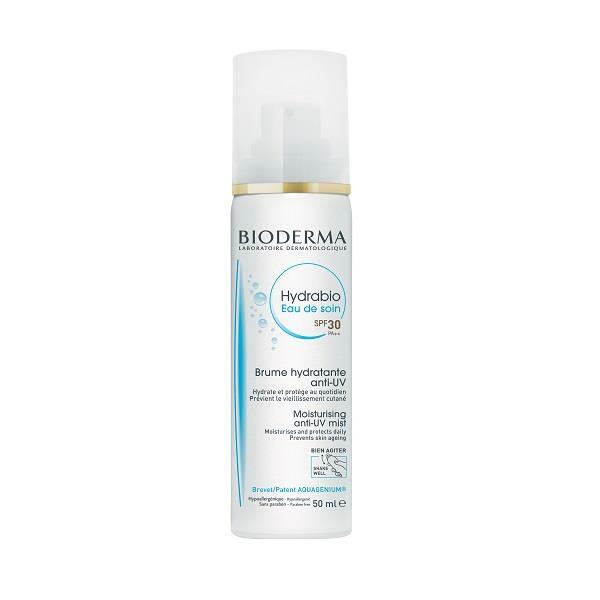 The Bioderma Hydrabio Eau de soin is a new innovative hydrating mist spray that includes SPF30 UV protection. The long-lasting moisture and anti-UV mist keep your skin protected throughout the day, while intensely hydrating your skin. The mist spray is also perfect to use when setting your makeup, taking on holidays and to cool, protect and hydrate your child's face. Ideal to use on dehydrated skin. Hold 20cm from face, close eyes, and spray over face & neck.